Scroll down for Shopping Season carols...and more! The most beautiful display of deflated inflatables in the world! (above the coin-op Laundromat on Dickinson Boulevard). Scroll below to see the beautiful deflated inflatables! At the right: The new Christmas Classic, "Carol of the Sales." 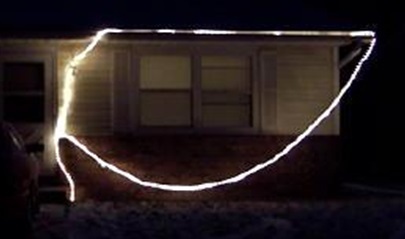 Below: Dickinson scholar Jim Asher's Christmas hit Because Nothing Else Says "Merry Christmas" Like a Light-up Giant Twelve-Foot Vinyl Blow-Up Santa In Your Yard. Extra hours just for you. Happy Shopping Days to you! * Formerly known as the Holiday Season. Rise and shine – it’s Black Friday! It’s a fine – Shop and Buy Day! Shopping in a Spending Wonderland! Start the sales – there’s no stopping! Don’t forget just where it is we park! Until our tired doggies start to bark! At the food court for a fried treat. Formerly "God Rest Ye Merry Gentlemen"
In shops throughout the town. Before they all close down. So go shopping to save what's left of town. Formerly "Angels We Have Heard On High"
You can now afford more. You can now afford to buy more. Formerly "Carol of the Bells"
More and more and more and more eCommerce! Just like the ones of days of yore. To let mobs rush through the store. Where discounts slash the price in half. And may all your Fridays now be Black. When I'll max out my cards anew. And save...until the bills come due! Mark it down, mark it down, mark it down! Pull out the charge cards -- and go! 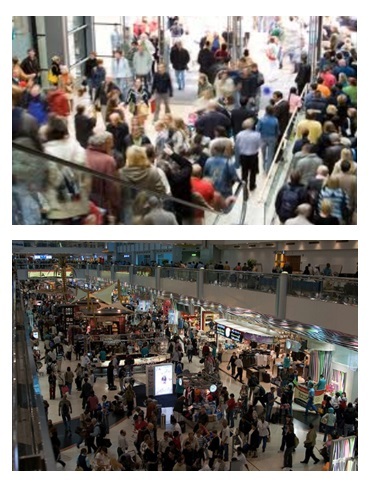 And I'm still with crowds out buying. I bought it on my shift. So he'd not get upsot! We wish you'd extend our credit! Then we could shop more! Now bring us some chicken nuggets! 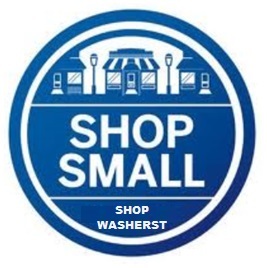 Then we will shop more! Pictured below: Beautiful deflated inflatables will be on display throughout all of Washerst, the entire month of December, and perhaps none will be as stunning as the array of deflatables on Dickinson Boulevard. 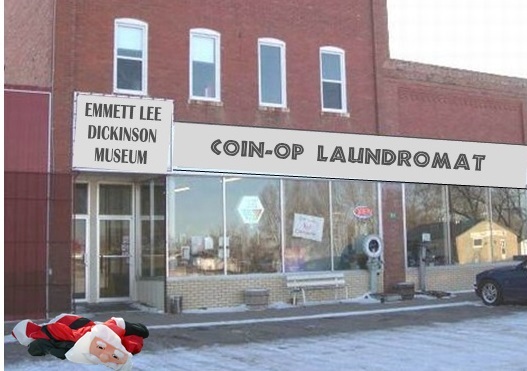 Pictured at the left: The magnificent deflated Santa Claus in front of the Emmett Lee Dickinson Museum (above the coin-op Laundromat on Dickinson Boulevard) is always a crowd favorite! 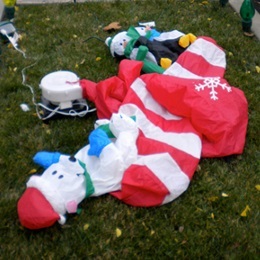 It is best to view the Museum's deflated Santa on weekdays until 3:00 p.m. The waiting time to view the Santa on late afternoons and evenings can be two or more hours -- and three-plus hours on weekends. Pictured at the right: The beautiful display at the Poetry Hall of Fame includes a scenic presentation of polar bears and penguins. Pictured at the left: One of the most popular displays of deflated inflatables is the magnificent array of deflatables in front of the Washerst Chamber of Commerce. Pictured at the right: A beautiful display of deflated inflatables is featured on the patio at Dickinson's Restaurant, home of the best Cajun Nachos in Washerst (a plate overflowing with Cajun Nachos was the favorite meal of third cousin Emily Dickinson). Pictured at the left: The whimsical display of deflated inflatables at the Student Center at the Emmett Lee Dickinson Community College is always a crowd favorite! Pictured at the right: Washerst is home to the American Academy of Arachnology & Acarology for Women, the premiere center for study of arachnids for women in the country -- and the AAAA has one of the premiere displays in the annual festival of deflatables (pictured at the right). Pictured below: The Washerst Visitors Center greets the hundreds of thousands of visitors to our historic city with a stunning array of deflated inflatables. Pictured at the right: The North Washerst campus of the National School Crossing Guard & School Patrol Training Academy includes a striking array of deflated inflatables. 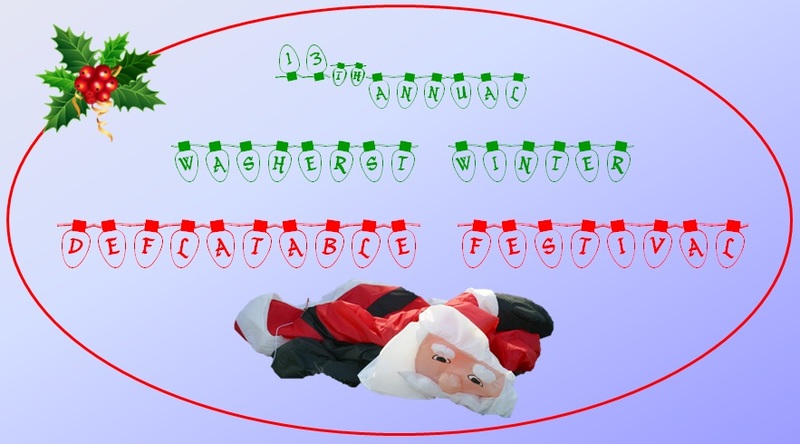 Pictured at the left: The Washerst Center for Social Media Addiction has a creative display for the 2013 Deflatable Festival: in the top left is a picture of the Ghost of Snowmen Past; the top right includes the Ghost of Snowmen Present (for the Deflatable Festival); and the bottom shows the Ghost of Snowmen Future. Pictured below: The Washerst Municipal Airport welcomes visitors with a dazzling display of deflated inflatables next to the airport's mainrunway (shown at the right in the photograph). Pictured at the left: Dickinson Park is home to countless beautiful deflated inflatables. The admissions office at the Kathy Griffin School of Improv, Comedy & Comedy Arts in the heart of historic Washerst includes a comical array of deflated inflatables. 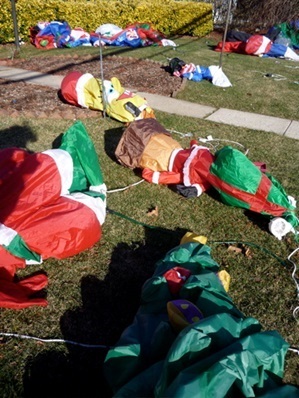 Pictured at the left: A festive display of deflated inflatables outside one of the student dormitories at the Hobart Dickinson Clown Academy & School for the Balloon Arts. The grounds of the State Penitentiary includes many whimsical displays of deflated inflatables like those pictured at the right. Due to the high number of kid-friendly displays, the Penitentiary is a favorite destination for families during the Deflatable Festival. One of the most popular destinations for families during Washerst's annual Deflatable Festival is Washerst Memorial Gardens. 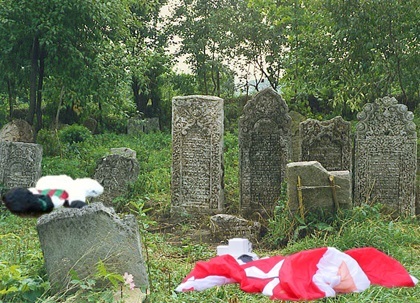 Nothing puts one more in the holiday spirit than trudging through an historic cemetery full of deflated inflatables. 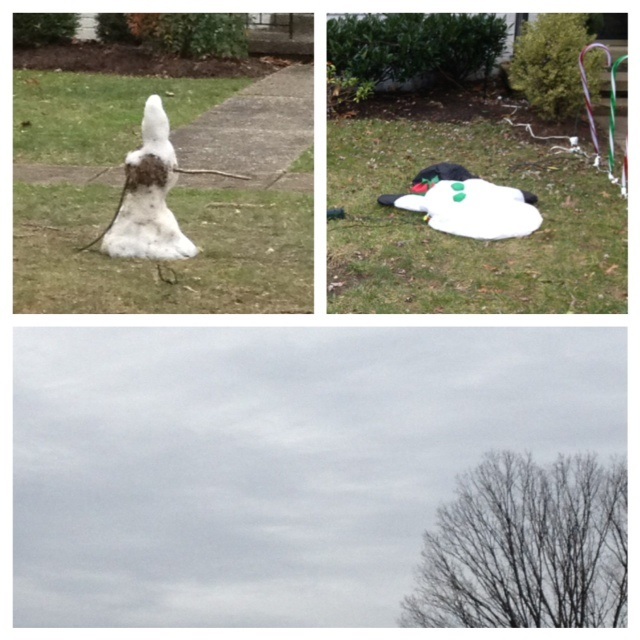 Pictured at the left: A deflated snowman and a deflated Santa at Washerst Memorial Gardens. 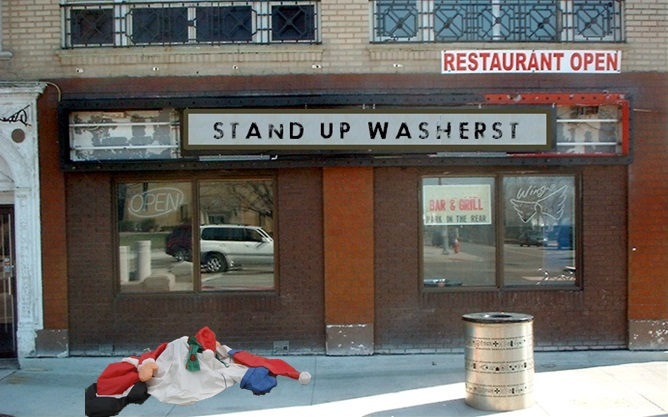 Pictured at the right: One of the most popular Santa deflatables in the Washerst Deflatable Festival is the deflated Santa in front of Stand Up Washerst. Pictured below: The grounds of the Andy Warhol Training Center for Reality and Public Appearances in the heart of historic Washerst includes some of the most popular displays of deflated inflatables in the Deflatable Festival. 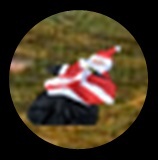 Pictured at the left: Though DickinsonLand is closed for the season, the theme park has installed a spectacular deflated Santa outside the park's entrance gates. 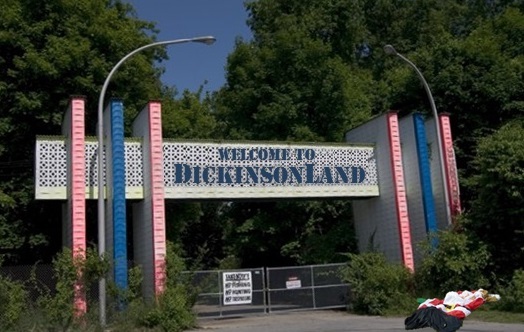 For more information on DickinsonLand (open year-round, except October through March), click HERE. 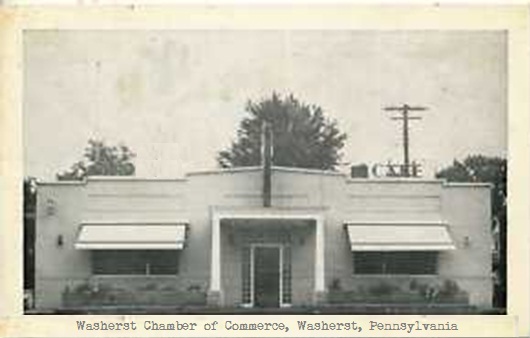 Pictured at the right: The stunning light display at the Washerst Chamber of Commerce is a highlight in Washerst's Festival of Lights for the Winter Solstice. Pictured below: Other spectacular displays from the Festival of Lights. 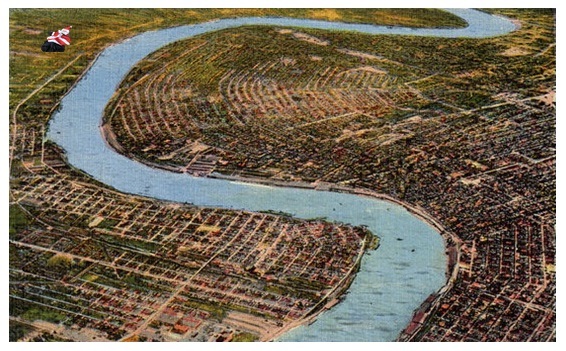 Left to Right: Dickinson Boulevard; Dickinson's Restaurant; the Dickinson Motel; Dickinson Dry Cleaners. Pictured at the left: One of the most popular and family-friendly sites in Washerst is the the Washerst Mattress Dump (it is the fifth largest mattress dump in the United States -- behind those in Memphis, Tennessee; Chattanooga, Tennessee; Knoxville, Tennessee; and Ithaca, New York). 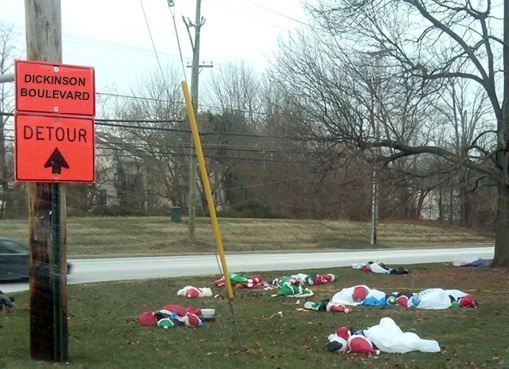 As part of the annual Deflatable Festival, the mattress dump features over 100 deflated Grinches! Pictured at the right: Another family friendly dump in Washerst is the ever-popular Washerst Electronics Dump. 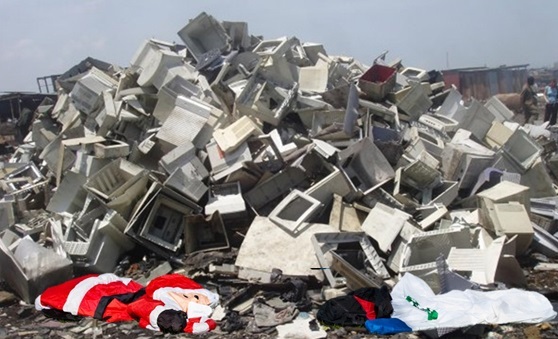 Throughout the annual Deflatable Festival, the Electronics Dump will feature hundreds of deflated Santas and snowmen. 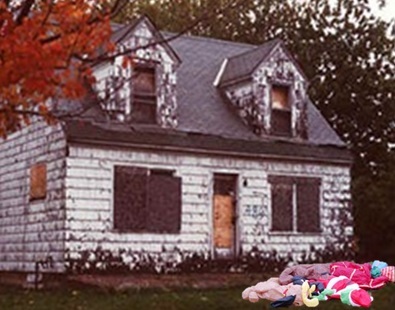 Pictured at the left: The grounds of the Dickinson Motel are beautifully decorated with countless deflated Christmas inflatables. Pictured at the right: An aerial view of Washerst showing the deflated Santa in Dickinson Park, the world's largest defalated inflatable. 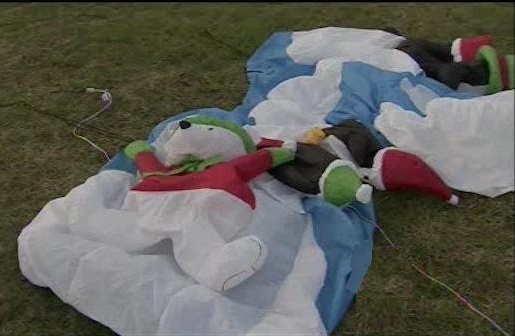 Pictured at the far right: A photograph taken from the Space Station of the Dickinson Park deflated Santa -- the only deflated inflatable seen from space! Pictured at the left: One of the most visited sites in Washerst is Frank Lloyd Wright's historic home "Standingwater," and the WWF (Washerst Wright Foundation) has decorated the grounds for the Deflatable Festival with a delightful deflated Grinch. For more information on historic Standingwater, click HERE and scroll to the bottom of the page. Pictured at the right: A popular destination downtown during the Deflatable Fesitval is the Dickinson Deli. 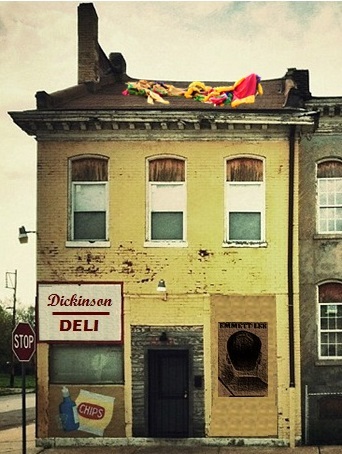 Not only can one enjoy a delicious Dickinson deli sandwich, but visitors can view a spectacular display of a deflated Santa's sleigh and deflated reindeer on the rooftop -- voted one of the top ten deflateable displays in the Deflateable Festival last year! 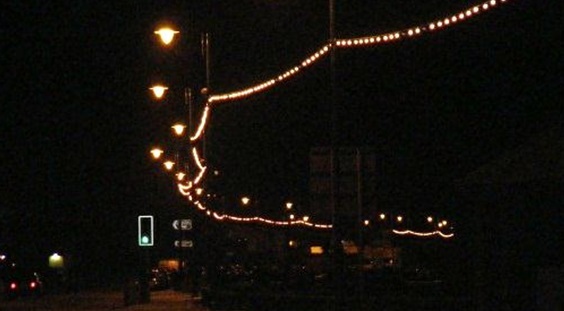 Pictured at the left: The shops along Dickinson Boulevard show holiday spirit with countless deflated inflatables up and down the street. 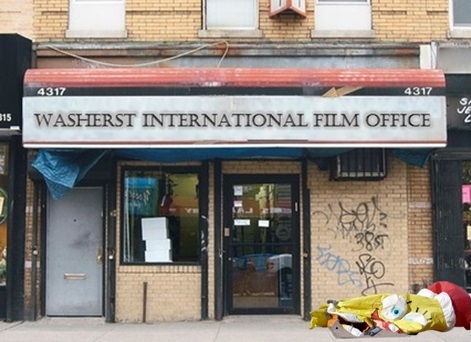 Pictured at the right: One of the most popular locations during the annual Deflatable Festival is the sidewalk outside the Washerst International Film Office where there is an impressive deflated inflatable of Sponge Bob Square Pants. The deflated Sponge Bob is extremely popular with families, and at times the waiting line to view the deflated inflatable tops three hours. 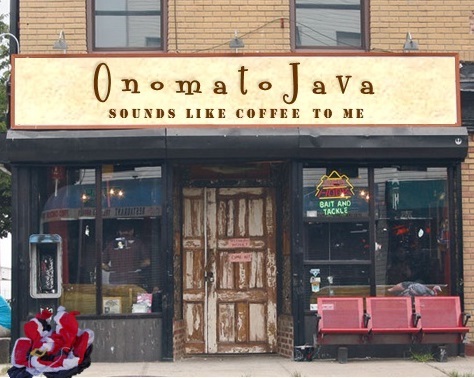 Pictured at the left: One of the premiere coffee shops in the world, OnomatoJava, displays one of the premiere deflated Santa inflatables in the annual Washerst Deflatable Festival. 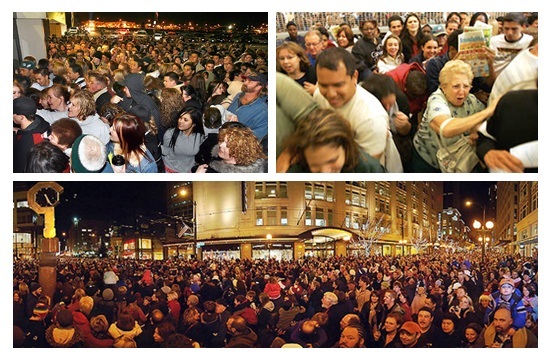 At peak hours, crowds on the sidewalk hoping to view the deflated Santa number in the thousands. 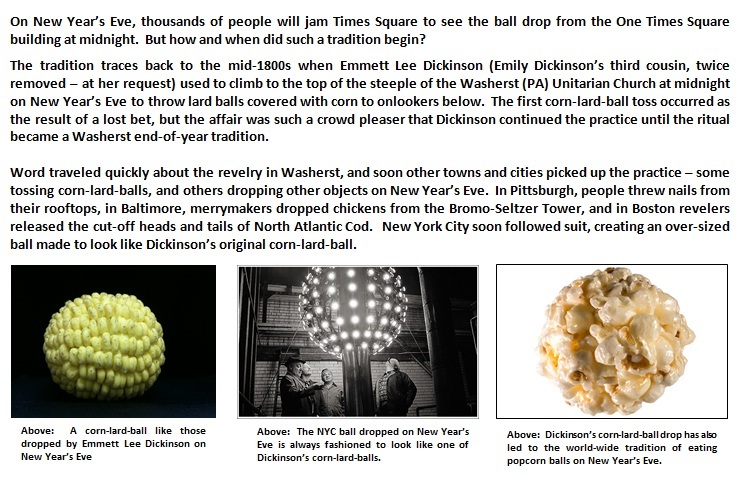 Pictured at the right: The history of the Times Square ball-drop on New Year's eve (click to enlarge). To conclude the annual Deflatable Festival and the Festival of Lights, revelers will climb on rooftops all over Washerst on New Year's Eve and throw lard-balls covered with corn at onlookers below.